Bill and Maria Dewhirst are Bible-believing Christians. 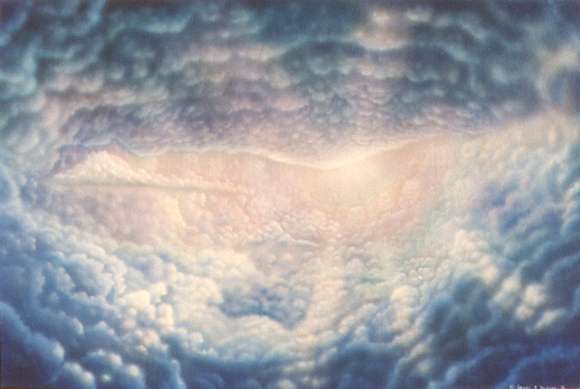 They believe in a literal, 6-day creation as described in Genesis. Bill has kept, bred and raised a wonderful menagerie of creeping creatures for the past twenty (20) years. Maria has homeschooled their four (4) children for the past eight (8) years. They hope to edify, educate and entertain children and families. In all of their educational endeavors, their primary purpose is to glorify God through His Son, Jesus Christ. Fun for All Ages: "Creeping Things Live Animal Show"
An hour and a half of unbelievable sights! - touch a gecko - don't break his tail! Learn about some of God's coolest and creepiest creation! 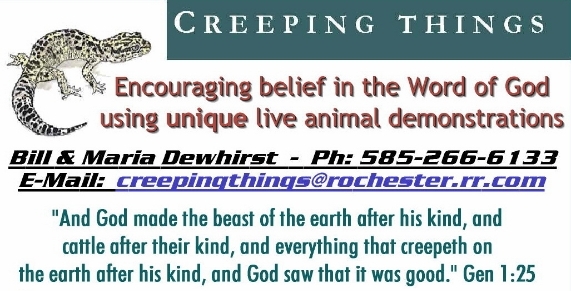 Call: (585) 266-6133 or Email: creepingthings@rochester.rr.com to schedule your presentation.